Its autonomous cars experienced 272 cases where drivers were required to grab the wheel, and avoided 11 crashes. GOOGLE’S FUTURISTIC SELF-DRIVING cars needed some old-fashioned human intervention to avoid 11 crashes during testing on California roads, the company revealed on Tuesday, results it says are encouraging but show the technology has yet to reach the goal of not needing someone behind the wheel. With Google’s fleet logging tens of thousands of miles each month, the 11 instances would be the equivalent of a car having one event every three years, based on how much the average vehicle is driven in the US. There were another 272 cases in which failures of the cars’ software or onboard sensors forced the person who must be in the front seat – just in case – to grab the wheel during roughly a year of testing. Though Google did not release detailed scenarios, the problems included issues with the self-driving cars seeing traffic lights, yielding to pedestrians or committing traffic violations. There were also cases where intervention was needed because other drivers were reckless, and several dozen instances of an “unwanted maneuver” by Google’s car. “There’s none where it was like, ‘Holy cow, we just avoided a big wreck,’” said Chris Urmson, who heads Google’s self-driving car project. 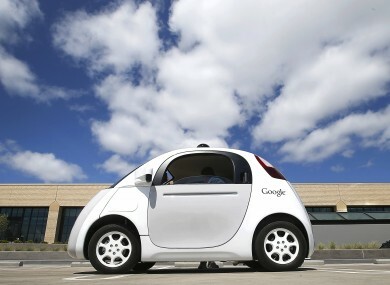 During this phase of testing, Google cars usually stay below 56 km/h although they also drive on motorways. “We’re seeing lots of improvement. But it’s not quite ready yet,” Urmson said. “That’s exactly why we test our vehicles with a steering wheel and pedals”. Bryant Walker Smith, a professor at the University of South Carolina who closely follows self-driving car developments, said the rate of potential collisions was “not terribly high, but certainly not trivial.” He said it remains difficult to gauge how Google’s cars compare to accident rates among human drivers, since even the best data underreport minor collisions that are never reported to authorities. While the problem rate is “impressively low,” a trained safety driver should remain in the front seat, said Raj Rajkumar, an engineering professor at Carnegie Mellon University who specialises in self-driving cars. “It’s unfathomable that Google is pushing back” on the need for a wheel and pedals, Simpson said. Seven companies with permission to test self-driving prototypes on California roads were required to report to the state’s Department of Motor Vehicles instances in which drivers had to take over due to technology problems or safety concerns. The Associated Press has filed a public records act request for all the reports; the DMV has not formally replied and did not reply to a request for comment Tuesday. Google released its report before the agency, or the other companies, in what it described as an effort to be transparent about its safety record. The company had lobbied against having to report “disengagements” from self-driving mode, saying the data could be misinterpreted. In all, Google reported 341 total safety-related disengagements during 682,000 kilometres of testing, which took place mostly in neighborhoods near Google’s Silicon Valley headquarters or on the streets of Austin, Texas. Google ran 49 cars between September 2014, when California began formally allowing prototype testing in public, and the end of November. With the average vehicle traveling about 19,000 kilometres each year, according to the US Department of Transportation, a Google car required human intervention for one reason or another the equivalent of about 10 times per driving year. That rate has improved in recent months, according to Google data. Urmson cautioned that the rate might again rise as Google subjects the cars to more challenging environments and weather conditions. Email “Google's self-driving cars are still leaning on its drivers for tight situations”. Feedback on “Google's self-driving cars are still leaning on its drivers for tight situations”.